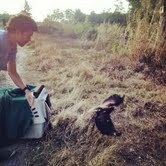 Hans releasing a short tailed hawk (Buteo brachyurus). As graduation from college grew near this past year, I decided I wanted to find out what area of biology I wanted to pursue as a career. So I started interning with two grad students who were working with coral reef conservation at Florida International University located in Miami, FL. I was in the lab most of the day grinding fish tails for stable isotope analysis or scraping and sorting algae off pieces of rock. Even though these graduate students got to go out in the field and collect data (which was the cool part), it was only a few weeks out of the entire year! The majority of the time, they were in the lab writing and analyzing data that they collected. Some people are all for it, and I applaud that, but it’s not for me. I felt like I wasn’t getting my hands dirty enough. It really bothered me that I didn’t feel like I was connecting with what I was working with, so after a year of interning I made a choice to leave the lab and find myself another project to work on. I started looking for internships everywhere – zoos, aquariums, vet clinics, even other labs that had a different projects. 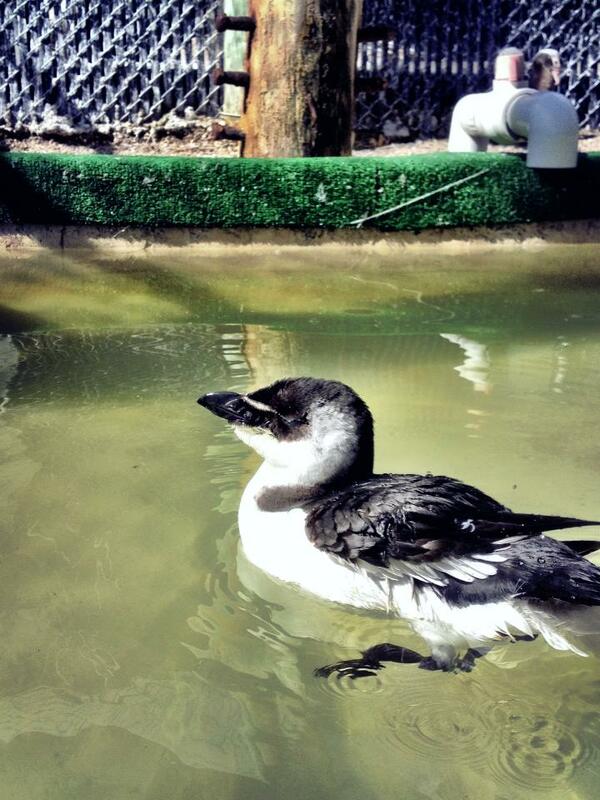 I couldn’t find anything until I stumbled upon a wildlife rehabilitation center, Pelican Harbor Seabird Station. I had no idea what this field was all about but I decided to give it a shot and started interning there a few months after I applied. It wasn’t the typical lab setting where you collected data and played with instruments. 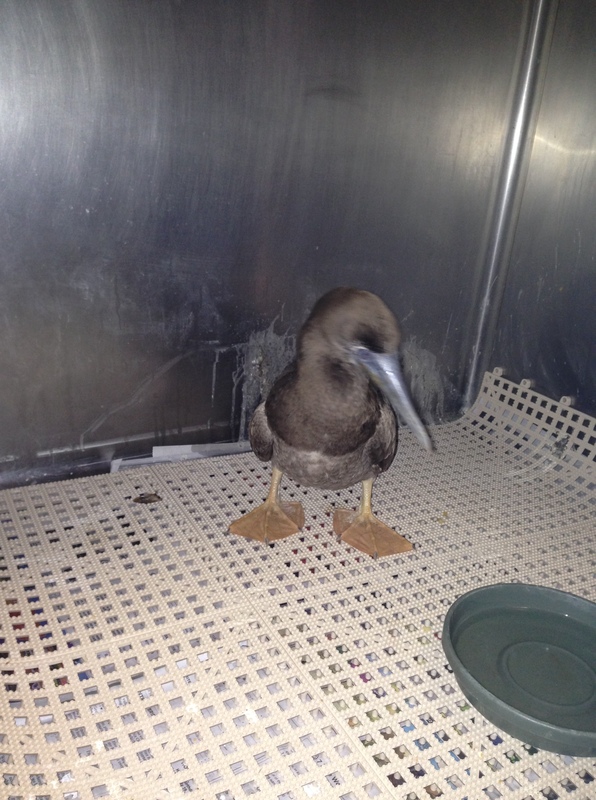 Pelican Harbor has a small animal clinic that takes in wild birds and rehabilitates them. The ultimate goal of the station is to release the animals back out in the wild. I ended up loving the field because I got to be up close and personal with wildlife which meant I assisted with administering medications, identified species, and learned the biology of each species of bird that came in. It felt so gratifying going into work each day. That is when I knew I have found my calling. In all my biology classes in college, I have never learned nearly as much information on different animals than I have at Pelican Harbor. At first I was a bit confused about what to do with myself because most interns there are studying to be a vet or vet tech and I felt like the only one who had trained in pure research. The more I worked there, the more I learned how much I can contribute to wildlife conservation by working at an animal rehabilitation center. Not only have I released birds back out in the wild but I have participated in public outreach programs, and worked with other biologists. The bad part, just like most biology jobs in research and academia, Is that 99% of all these organizations are non-profit, meaning they rely strictly on grants and donations to operate. It is scary to have a job when you don’t know if at the end of the year, you will have enough donations to continue operating. 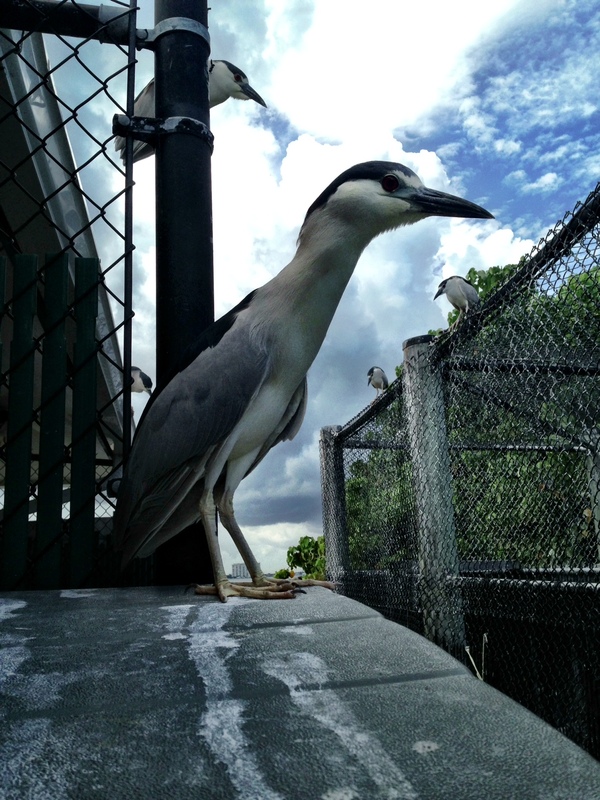 Black Crowned Night Heron (Nycticorax nycticorax). But I love this career path and have realized how important these organizations are in our society. 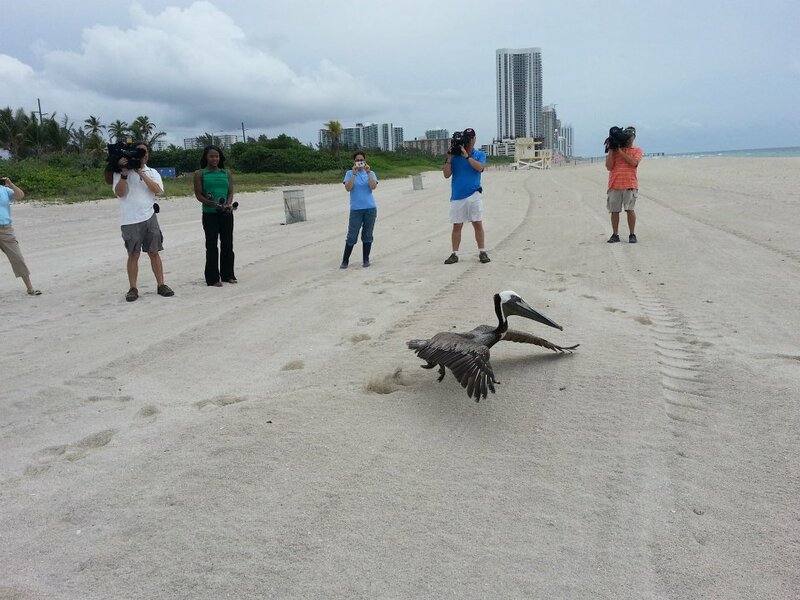 Humans continue to have such an enormous impact on wildlife and we need keep organizations like Pelican Harbor to help treat and release animals back in the wild to keep our ecosystems healthy. In fact, 95% of the cases brought in these centers are human caused! I wanted to share my amazing experience with everyone. 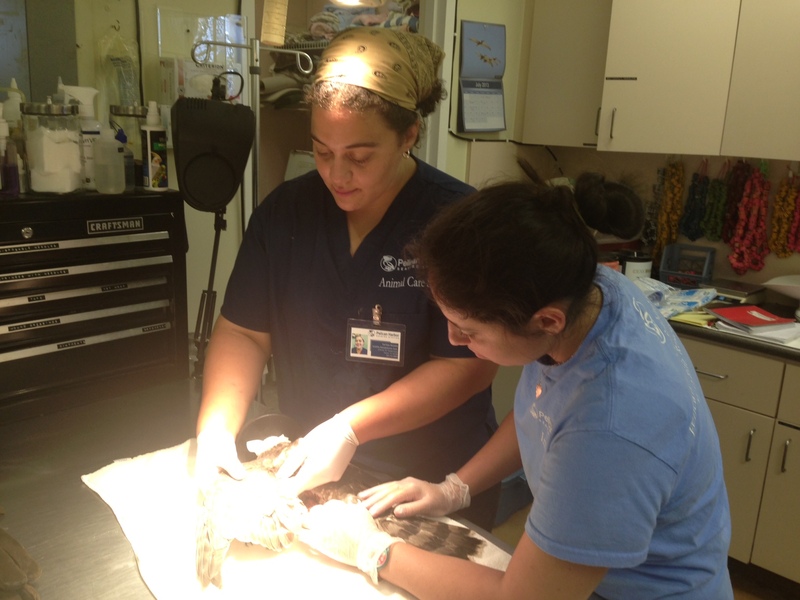 Wildlife Rehabilitation is a wonderful career that contributes so much to society, and many people are not aware of it. This is why I wrote this article. 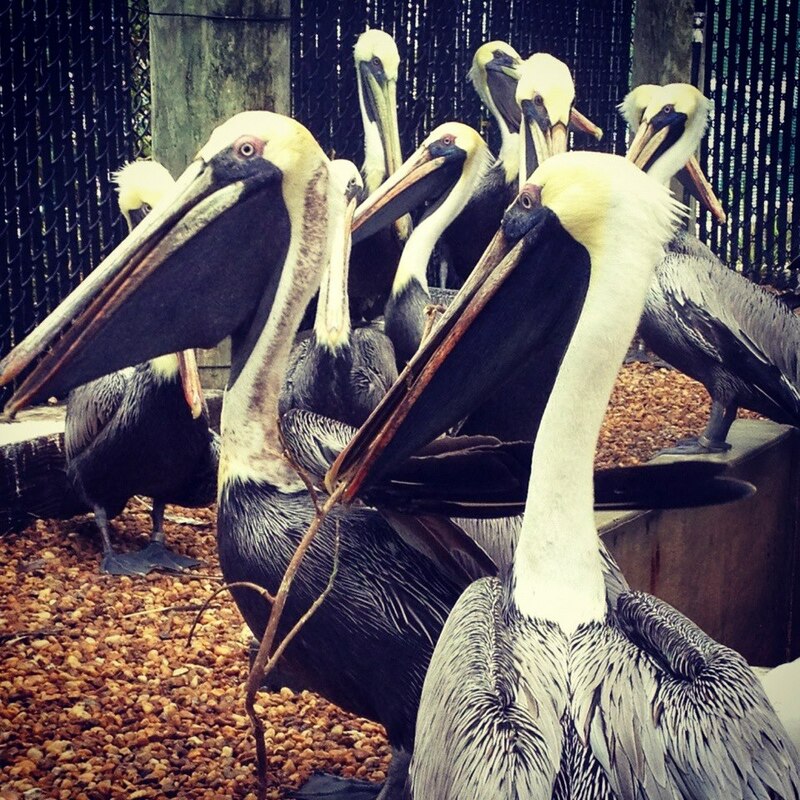 To explain how wonderful this field is, I interviewed an expert in the field, Jessica Cline (who has 6 years of experience in Wildlife Rehabilitation), Interim Director of Pelican Harbor Seabird Station, on her career at Pelican Harbor. You can get all the info about Pelican Harbor at www.pelicanharbor.org or their Facebook page https://www.facebook.com/pelicanharbor. Below is my interview with Jessica Cline. Hans: Why and how did you get into this field? Jessica Cline: I got into wildlife rehabilitation because of the college I attended during my undergrad studies, which is Lees McRae College in Banner Elk, NC. It is the only school in the nation that has a wildlife rehabilitation center on campus. I originally went there to get a general biology degree. When I heard of the program, I decided to not only get a degree in biology but a concentration in wildlife rehabilitation. Hans: Why do you care about wildlife conservation? Jessica Cline: I have always been passionate when it comes to wildlife. I have always felt that overall, not enough people care about the environment in general, especially animals. People tend to think animals (most) are dumb or they don’t have feelings and it doesn’t matter if we harm them in any way. I don’t agree with that. I think we should coincide and respect them. Hans: From your experience, do you see yourself working more with wildlife conservation or veterinary medicine in the future? Start of an examination at Pelican Harbor. Jessica Cline: Personally, I tend to focus more of my time in the veterinarian’s aspect of medicine. I am not a veterinarian but I do work with a team of veterinarians and I also communicate with people from other rehab centers that are veterinarians. That’s where my personal focus is; the level of care the animals are receiving. But in terms of wildlife rehabilitation itself, I do believe it’s more of a form of wildlife conservation rather than necessary veterinary medicine. Hans: How does wildlife rehabilitation contribute to conservation? Do you think it can be as affective in conservation as in a research type of setting that most biologists do? Jessica Cline: In a different sense than research. Research biologists, they’re collecting data, over a long period of time even. You know sometimes they collect data for years before they put something together and you know, they’re trying to figure out a way to change something that humans are doing to affect animals or the environment, so they have to find the proof first. And then they have to come up with a way to fix it. Where in rehabbers, help with that aspect too. We do help collect data and help out researchers but our form of conservation is “that day.” We are trying to fix an individual animal and put them back into the wild. Our conservation is almost short-term in a way versus long-term with research. We are kind of the front lines I guess for a lot of things too. Being in wildlife rehabilitation, we pick up on patterns faster than people who are doing research sometimes. If a specie is getting hurt in the same place or a certain species is getting the same type of illness, we are noticing a trend going on and we want to know why that is occurring. So I would summarize the question as research is long-term conservation and rehab is a form of short-term conservation. Jessica Cline: So, wildlife rehabilitation with birds is actually one of the most common forms of wildlife rehabilitation. Um, simply because we tend to get them in more than any other animal. Some places take in everything, but they get more birds. It is not uncommon to get smaller amount of mammals and I think that has to do with the abundance. There are more birds so birds tend to be more affected than smaller mammals. Hans: Why do you think birds are important in nature? Jessica Cline: That’s difficult to say in overall because birds themselves, there are thousands of species of birds all over the world. I think there is actually 9,000 different species of birds. And birds fill different niches. You take herons in the heron family and there is little ones all the way down to the green heron and big ones all the way up to the great blue heron. And there are all types of birds from shorebirds, to insectivores, to herbivores so they each have a niche and they have a reason they help they’re ecosystem they live in so it’s hard to say individually why birds are overall important to nature. For example: Wading birds control fish and crustacean populations and song birds control seed dispersal with certain species of trees, so on and so forth. It’s quite extraordinary how a single group of animals can play such an important role in the ecosystem. Hans: Do you believe that without these birds there will be detrimental effects on the environment? Jessica Cline: Absolutely. You know. It’s hard to say. Let me just break down a group. If we lost all the insectivores and we had no birds that ate insects, we already have tons of bugs! If we had had no insectivores, then we’d be OVERWHELMED with insects, I mean we wouldn’t be able to go outside! Jessica Cline: We as humans have made an enormous impact in the natural world. We contribute both good and bad to the conservation of these animals and their habitats. 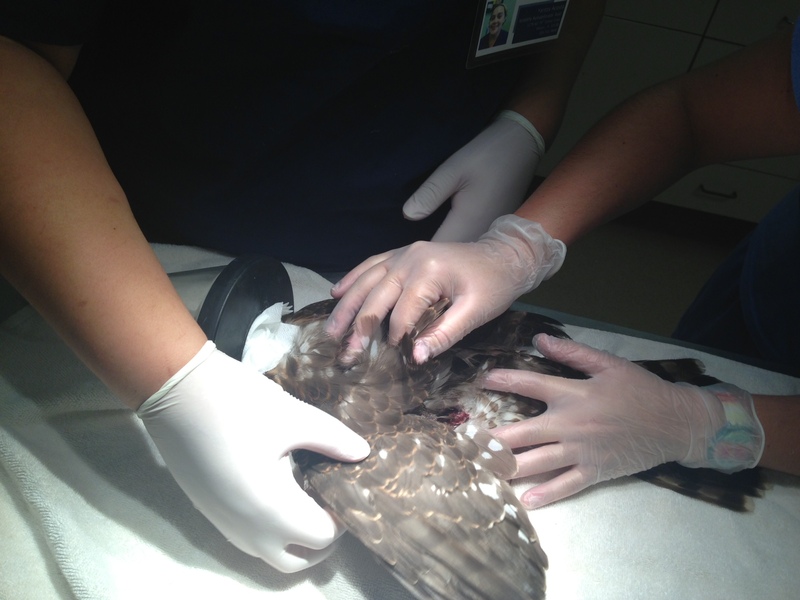 95% of Wildlife Rehabilitation is from human confrontation, where it is a car strike, poisoning from pesticides, fishing tackle and equipment, to people being mean and harassing birds. For a certain ecosystem to function properly, there needs to be a biodiversity of life in the area. With people making such a negative impact on the environment lately, it is our responsibility to do what we can in preserving wildlife and their habitats. By taking care of these individual animals and releasing them back in the wild, we help restore ecosystem functioning by putting more animals back out in the wild. Hans: What is your day-to-day like? Jessica Cline: That’s a tricky answer, cause there is no average day for a rehabilitator. But my day usually goes like this: we come in the morning and start on the animals we already have in the clinic so the first thing you want to do is feeding of baby birds, we are going to baby bird season (spring), we also go ahead and do meds and morning treatments and we also clean cages because we want to make sure everyone has a sterile habitat. 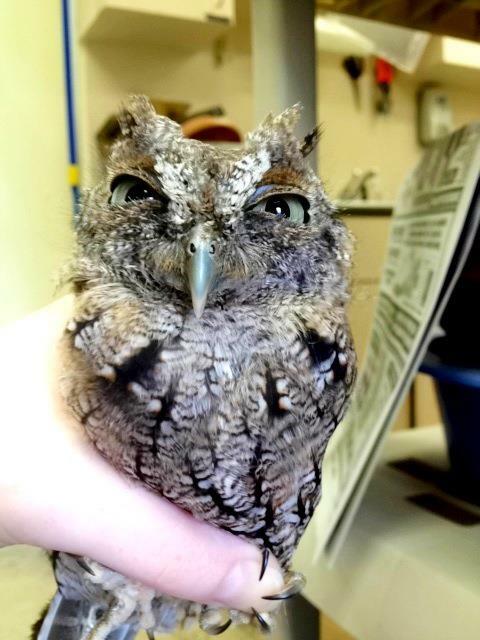 Eastern Screech Owl (Megascops asio). You know we also have large aviaries outside so we do the same thing. Feeding and taking care of everyone. The wildlife rehabilitation part that gets different is that during this process when your feeding baby birds and giving medications and cleaning cages. Your answering phone calls and talking to people who have questions about what to do with an animal they found and signs of injuries and when can they bring them in. Things like that. Hans: What is the hardest part of your job? Jessica Cline: I would say there are two parts of my job that are difficult for me. One of them is when you have an animal that you work really hard on, and you spend a lot of time and you put a lot into it and the end result is negative. Meaning we lose them or you have to euthanize them. That’s really hard. Emotionally it brings you down. Another difficult task is dealing with the public. When you get call after call that same day on something very simple, it is hard to have patience with people and it starts wearing thin. Hans: And that’s why there are classes and articles that help people answer their questions right? Jessica: Yep, there is two big organizations www.nwra.org and www.iwrc.org and they always post articles and forums that answer many common questions people have. We ourselves do educational talks and talk to schools. We are trying to reach the younger generation because they are going to inherit this planet and they are going to be the future, so we want them to understand and have a clear picture of what animals go through and how we can coincide and share this planet peacefully. Jessica Cline: That’s a hard one! It’s like asking a parent to pick they’re favorite child. (laughs) Um, in terms of working with, it is very difficult to work with song birds . They are extremely sensitive and it makes the job harder and stressful. I love song birds and them being at my backyard but I don’t enjoy working with them as much. I really enjoyed working with raptors. I actually have the most experience working with raptors so I am just very comfortable with them. Hans: It seems out of all the birds you picked, you pick a very dangerous type. Jessica Cline: I’ve never really had the initial intimidation factor with them. Part of that is a situation where I worked with them the most. Not a lot of other people working in the facility so it was a rather fight or flight situation I guess. I adapted really quickly to work with them and I just had to put the scared part aside. Another thing also, the birds I worked with were great resident raptors. it kind of spoiled me in a way. They had an amazingly good temperament. Hans: What is your advice for people who want to get into this field? Jessica Cline: I would suggest to go to your local rehab center and volunteer. It’s sometimes glorified as we play with animals and cuddle things all the time and that unfortunately is a mask. The job itself is hard on you both physically and emotionally. I don’t think a lot of people realize what we actually put ourselves through. There is a lot of cleaning and fast movement. But, if you can volunteer In one, you can definitely work in one because the volunteers tend to do most of the grind work. People who get into this field really have a strong passion for it and I personally think that the passion overcomes the hard part of the job. When you see a bird that you have been working on for months finally be released back out in the wild, the feeling of gratitude is unexplainable, it will definitely make your work worthwhile. 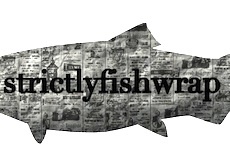 STRICTLYFISHWRAP is licensed under a Creative Commons Attribution-NonCommercial-NoDerivs 3.0 Unported License.